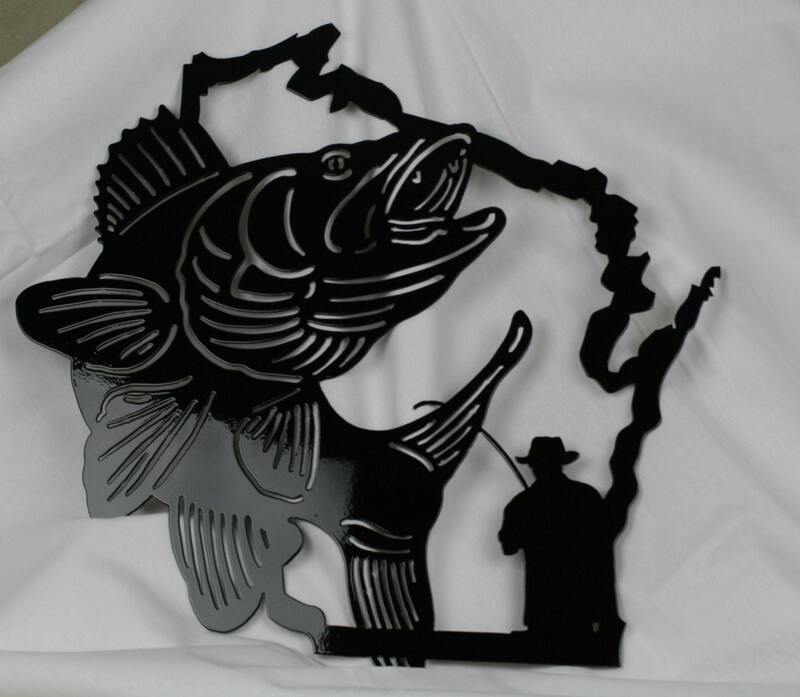 This Wisconsin-shaped metal art is a tribute to walleye fishing and ice fishing in Wisconsin! 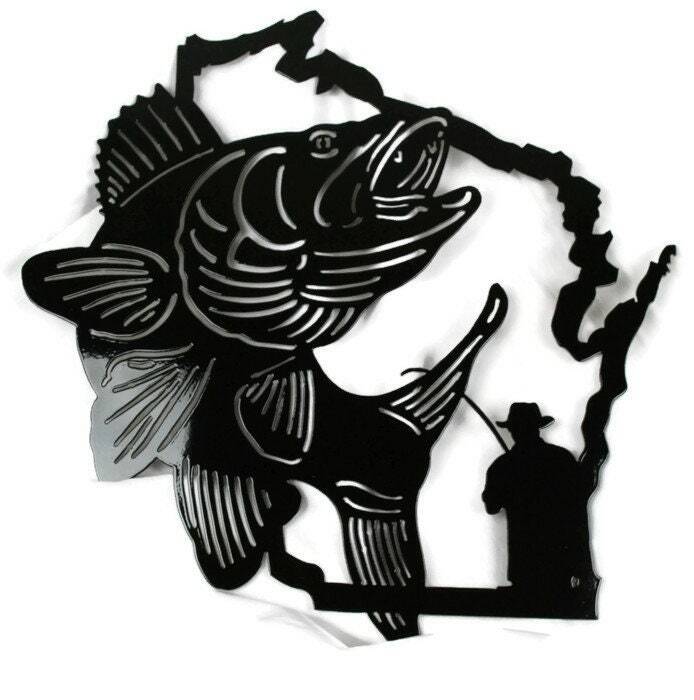 Perfect for any fisherman who lives in Wisconsin, grew up there or experienced a great trip and wants to remember it forever. Cut from steel about as thick as a nickel. It's roughly 18x17" in size. Walleye sign is coated with your choice of a variety of colors of durable powder-coat. This sign will be safe indoors or out without peeling or fading like spray paint. Ships FREE to Continental US! My husband loved it! Super easy to work with. This is a great gift for the fisherman who has it all. My husband hung this up almost as soon as he opened it. We love it!!! I would recommend this artist!! !